MPI TS200 engineering probe system is a cost effective yet highly accurate manual probe system designed for precision analysis of substrates and 200 mm wafers. 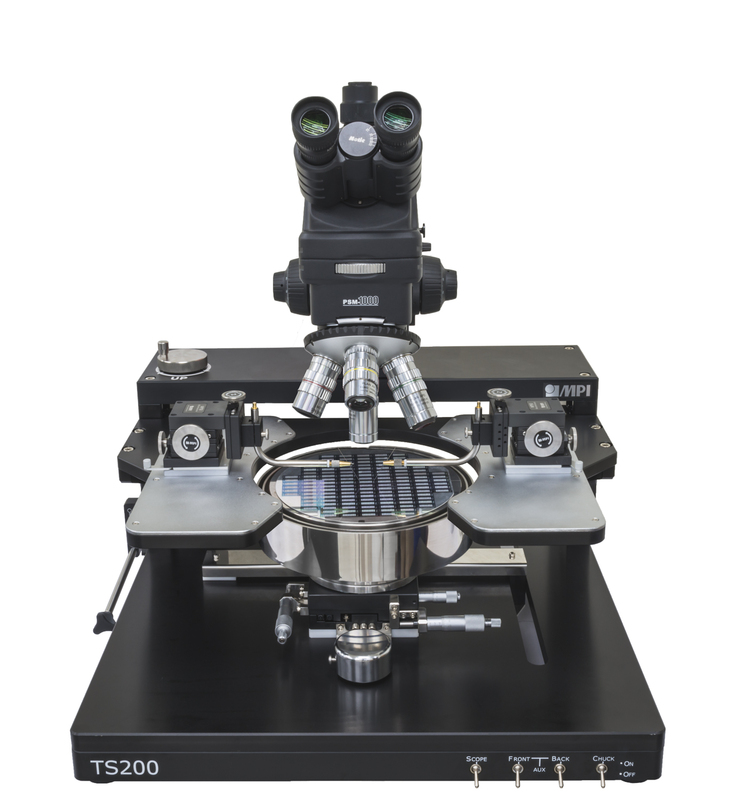 The TS200 may be configured to support a wide variety of applications such as Device Characterization and Modeling, Wafer Level Reliability, Failure Analysis, IC Engineering, MEMS and High Power. The TS200 is available with various chuck options to meet different budgets and application requirements.Chuck options include MPI's coaxial or triaxial Chucks or an ERS thermal chuck to support temperature measurement up to 300 °C. The RF chucks include two auxiliary chucks built in ceramic material for accurate RF calibration. The MPI TS200 system includes vibration absorbing base to achieve stable and reliable long-term probe to pad contact which ensures reliable measurement results. Vibration isolation platform or table are optional available where the laboratory environment requires extensive vibration protection. The TS200 modular design concept allows a unique upgrade path towards reduced cost of ownership.